Logic4training has long been regarded as the go to company for training and assessment in the Gas industry. As many of our loyal customers will know in the last couple of years we have expanded to provide training in Electrics, Oil, Heating and water, Renewables, Refrigeration and health and safety, whilst maintaining our own high standards. 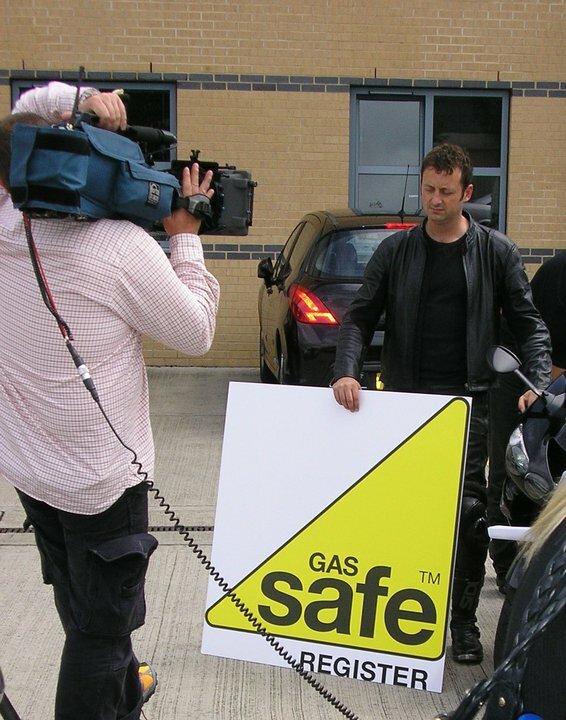 Because of this reputation in the industry our expertise was sought out by ITV’s GMTV to highlight the dangers of Carbon Monoxide poisoning in the home. Logic4training’s Mark Krull and Peter Dayton appeared on the early morning program pointing out and highlighting the signs to look for and the importance of having your appliances fitted correctly by a Gas Safe Registered engineer. We have also appeared on the BBC’s flagship consumer watchdog program “Rogue Traders”. Receiving a visit from Matt Allwright on his infamous motorcycle is normally every tradesman’s worst nightmare but in our case it was a pleasure. Logic4training was selected to demonstrate gas safety for the show and we even got him to pose with some of our staff and his Kawasaki ZX10 outside our Northolt centre. Facilitated by the Gas Safe Register, our centre and equipment was used to demonstrate complete and incomplete combustion, plus the adjustment of burner pressure and gas rate. Selected due to its excellent equipment provision and high regard as a training facility, Logic4training’s involvement in the show assisted the Gas Safe Register and Rogue Traders in promoting the importance of gas safety. We continue to promote the importance of the training and re-assessment process, and its role in the public’s safety. we are regarded as the Leading Training Provider in the country, working with some of the biggest business’s in the UK as well as training hundreds of heating engineers, plumbers, electricians and gas fitters every month.